Last night, at the Bucharest Odeon Theatre, the 12th edition of the Radio Romania Cultural Prizes Gala took place. The Gala was a celebration of the important achievements of 2011 in different cultural areas. 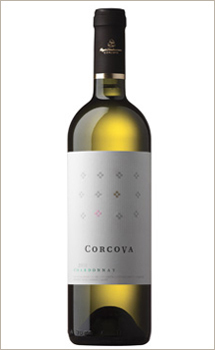 The Corcova wines were also present at the Radio Romania Cultural Prizes Gala, Corcova Roy & Damboviceanu being one of the partners of this prestigious event. Being interested about various art forms, from dance and music to literature and photography, materialized by the support which Corcova Roy & Damboviceanu offer to some events like Radio Romania Cultural Prizes Gala or Sambata Sonora (monthly program organized by the National Center of Dance), our company is only enhanced the value of the cultural legacy of Prince Bibescu and of the personalities who were in a connection with Corcova. Pinot Noir is an old grapes variety, precious, difficult to cultivate, but it gives an excellent wine, one of the most desired wines in the world... We propose to you a short travel in the history of Pinot Noir wine. 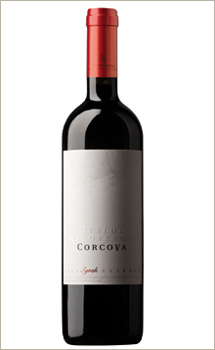 Of course, you could improve your knowledge also by enjoying a Pinot Noir Corcova Dealul Racoveanu glass of wine. Each wine brand has its specific features, which depends mainly on the region where the grapes are cultivated. Serban Damboviceanu renounced to a successful career in the Leclerc supermarkets chain for founding the Corcova vineyards. And he came not alone, but he brought even the owner of Leclerc business! 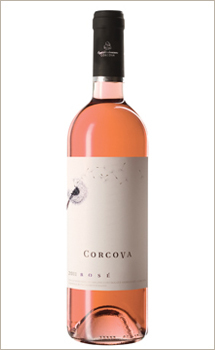 One year ago, the name Corcova was known by only a small number of specialists, who saluted the return of a famous ancient DOC name in the local wine world. 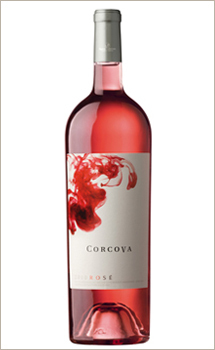 Today, after the launch of many wines in a short period of time, from the already "classic" Cabernet Sauvignon/Merlot to the surprising Muscat Ottonel, and from the sweet white wine to the Rose Magnum, Corcova became a reference not only for the professionals, but also for every quality wines lover. 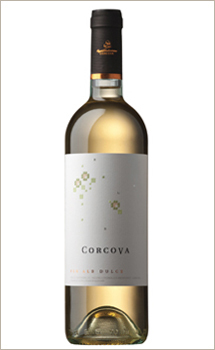 After launching an impressive number of wines, Corcova became a reference not only for professionals, but also for every quality wines lover, by launching now the Dealul Racoveanu premium range. 100 years ago, in Mehedinti region, in Corcova, Prince Bibescu, friend of Proust, had 100 hectares of vineyards, administrated by a French guy, Aristotel Sauget. After a while, the French took over the vineyard, and exploited that gout du terroir which, between the two wars, was known even in Paris. It is said that who loves wine loves life... Sign of civilization in the Ancient Greek, noble beverage and symbol of the Medieval aristocracy, the wine story goes together with the humanity history. Today, the wine is available for everybody, being gifted with a noble simplicity. A better understanding of the wine helps us to understand it and to fully enjoy its special virtues, but also to chose, from the large variety panel, the wines which are most fitted to our taste. 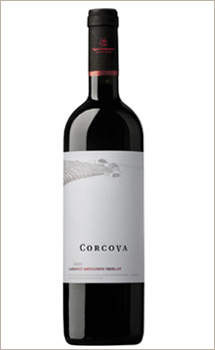 Here, at Corcova, we try to offer you wines with the so appreciated goût du terroir, expression of the harmony of the combination of soil, microclimate and human intervention. Obtained in the good tradition of the French vinification, inherited from the times when the administrator of the Mehedinti vineyard was Aristotel Sauget, a French wine specialist recommended to Prince Anton Bibescu by the great Romanian diplomat Nicolae Titulescu, sent to Paris with the famous Orient Express train, mentioned by Marcel Proust in his letters, we could say about the Corcova wines that they had their contribution to the consolidation of cultural and affective links between Romania and France. We invite you to listen the Intalniri capitale radio show, on Bucuresti FM radio station, where Ioana Brusten, the editor, had Serban Damboviceanu as guest, the person who revived the Corcova values. A passionate discussion about wine, before the winter holidays, when a good wine, chosen with the soul, could be a wonderful surprise for the beloved ones. Sunday, the 4th of December, the Romexpo Exhibition Centre hosted the Christmas Bazaar, the charitable event organized yearly by the International Women Association of Bucharest and Exotique. The visitors of the Romanian pavilion had the occasion to taste also the Corcova wines, which accompanied the traditional Romanian foods. There are only two weeks to the Christmas holidays, we feel already the gift fever, and the choice of the wine for the Christmas and New Year's Eve festive dinner should be made already if we want to impress our guests. Light yellow with silver reflexes, with 13.2% alcohol, the Chardonnay Dealul Racoveanu is a wine with a strong personality, good for openings, fish or poultry meat dishes. The nuances of citric, butter and almond, harmonic combined, give it a high degree of complexity. The final is pleasant, light spicy, which gives it the possibility to pair to some audacious gastronomic combinations. 100% Chardonnay, this wine was obtained through maceration-fermentation at controlled temperature, followed by a 6 months maturation in French oak barrels. The optimal temperature is 12 - 14 degrees Celsius.